November 19, 2018 – Rose wants to be known as a successful person who impacted her community! She wants to be a helper who gives whole-heartedly to people in need! This semester, Rose hopes to balance her studies with charity work in her community! Rose grew up in rural Uganda where there was no electricity, clean water, or medical care, and girls were expected to marry at the age of 12. Growing up in this community taught Rose patience and persistence. It also gave her a heart of caring for others. 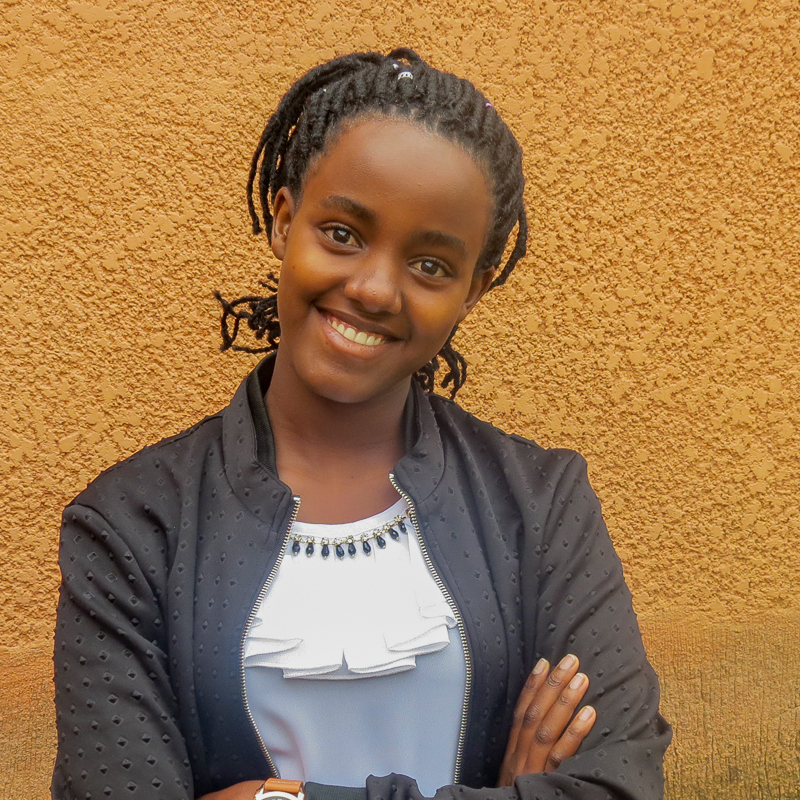 Keeping her focus on building up her community and empowering its young girls, Rose came to Rwanda to pursue higher education. Rose is pursuing a degree in Business Management, with the goal of starting her own business to provide for her family and community. She also looks forward to gaining skills that will help her to speak out against the injustices in her community. By showing girls there is another path, she hopes to end child marriages. Rose spends her free time singing with the church choir, as well as playing volleyball and basketball with her friends.